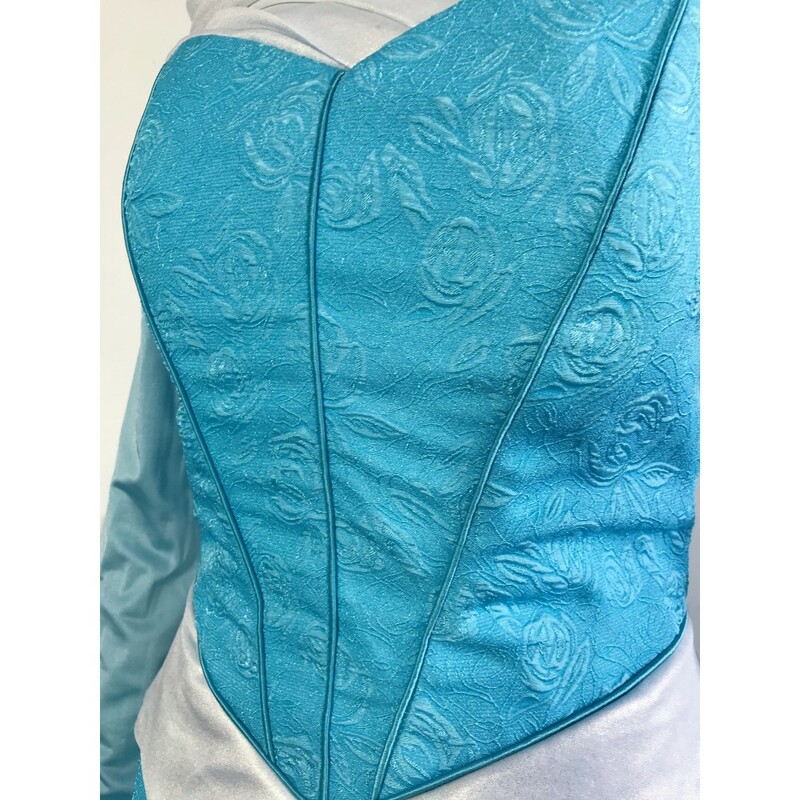 This is a custom made item, lace-up design can fit your body shape perfectly. 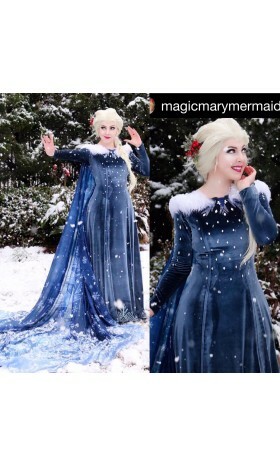 The dress is one pieces design. 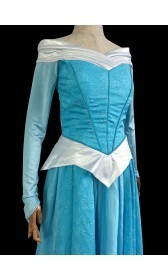 A lot of readiness should be done to accomplish the Aurora look. 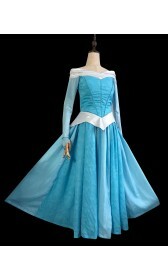 Aurora, famous by the name 'Sleeping Beauty' is being acknowledged by reason of her two dresses. One is a blue shading dress, and the another is pink. Both the dresses look charming and have been in each young lady's list of favorite things to get. 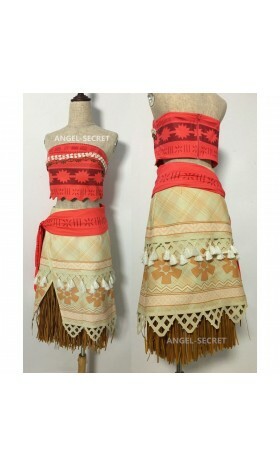 Angel Secret has come up with both the dresses (blue and pink) for all the girls. 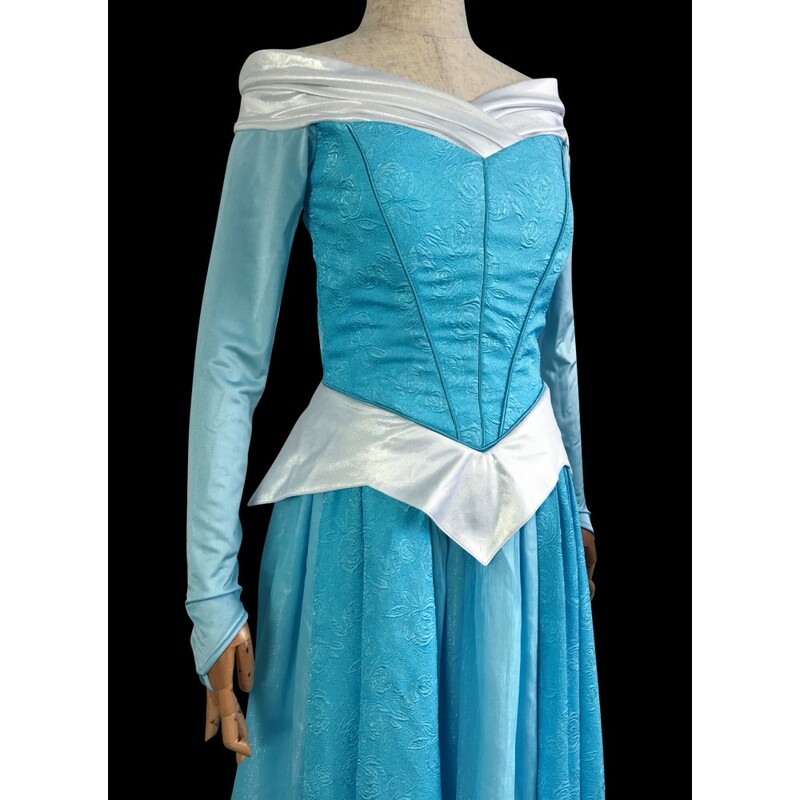 Now, you can perform Aurora Cosplay by choosing any of these dresses. Both the dresses follow the same pattern. The only difference is of the colors. The dresses come up with full sleeves, and the sleeves are made up of sheer net material to locate bloom in the whole look. 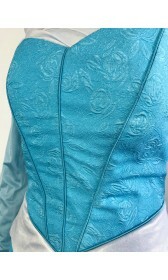 The wide neck pattern looks extremely good when one wears it, and the white color on the side of the neck adds more charm to the whole dress. The triangular slits of white-pink and white-blue shades look alluring and are proven the best part of the dress that changes the look entirely. 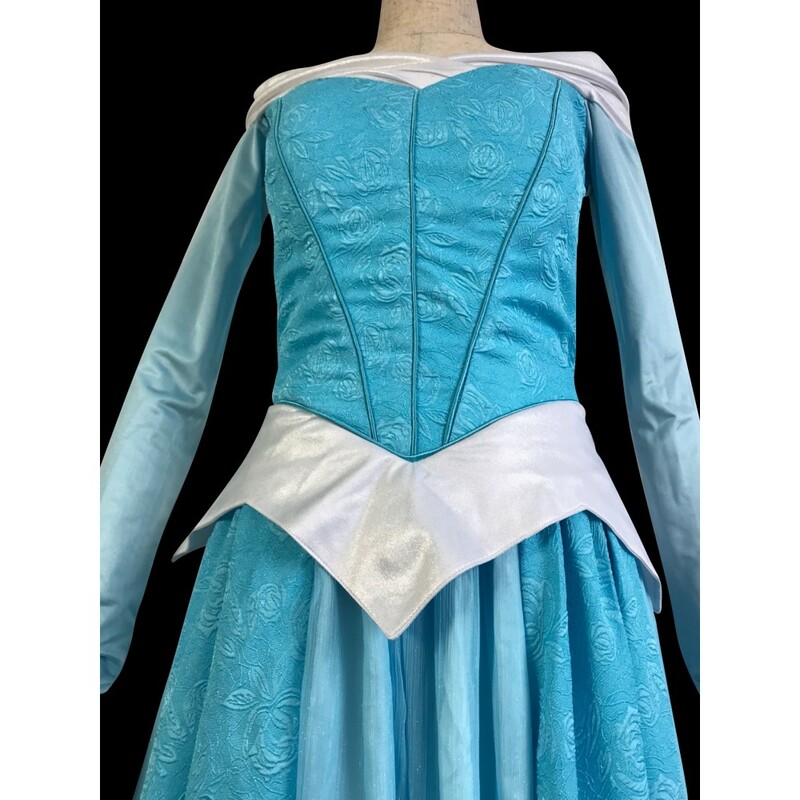 In this way, you young ladies ought not to pass up a major opportunity, i.e., a chance to make these mind-blowing dresses yours. 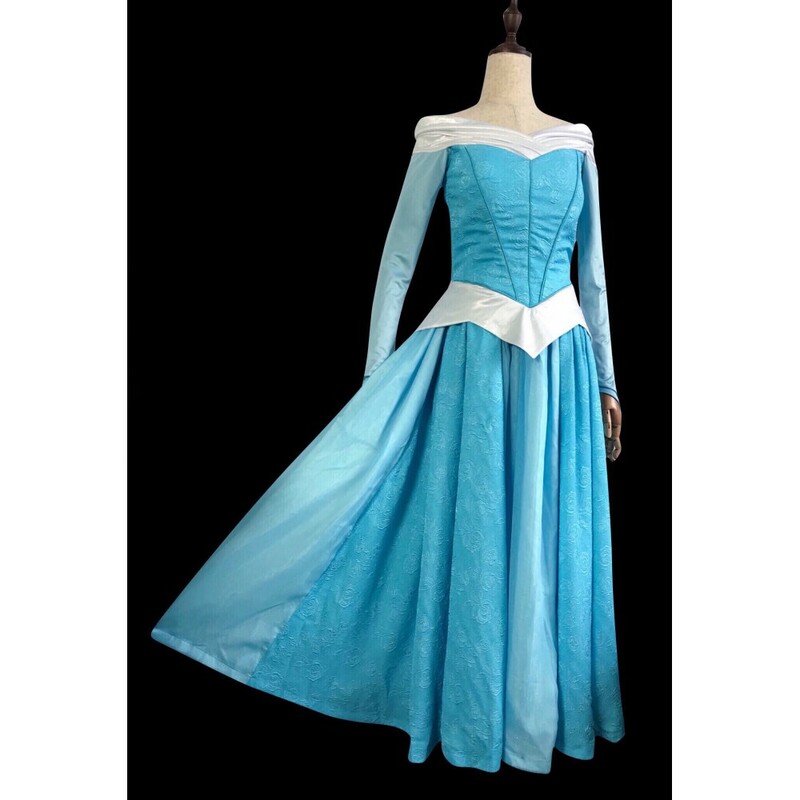 These dresses can be purchased from the above website link. 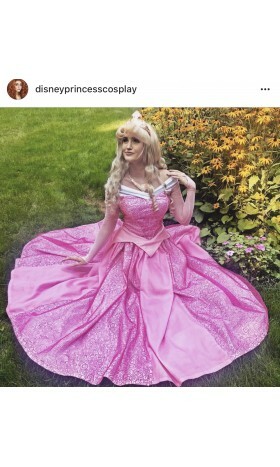 All you would do is to give the correct size of yours with the goal that the dress fits consummately and gives you an inclination that you have actually attained the exact look like Aurora. 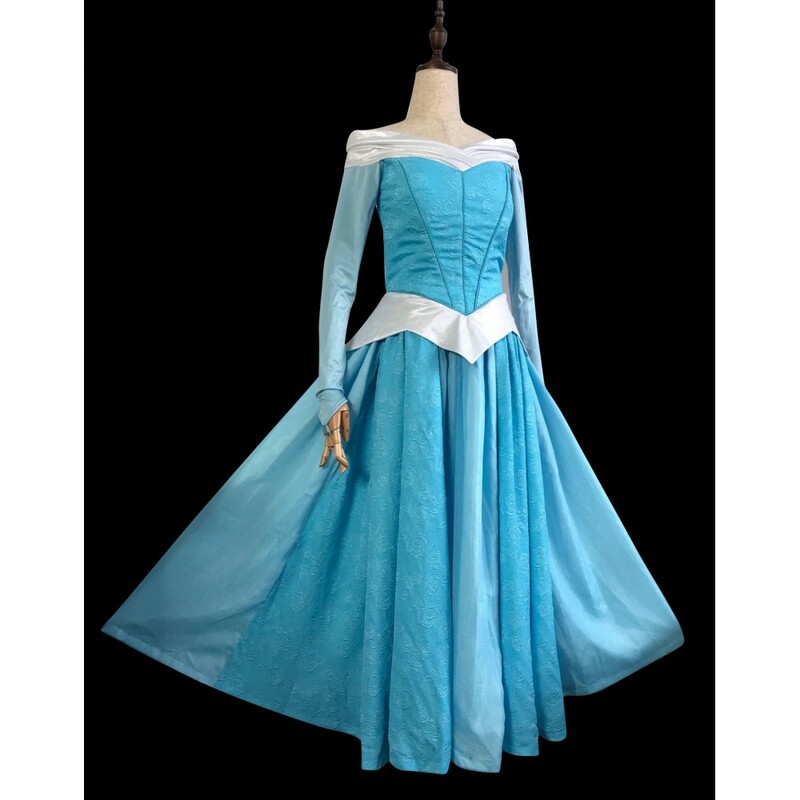 Along with the growing charm for cosplaying, many of the cosplayers show an inclination towardsDisney princesses dresses. 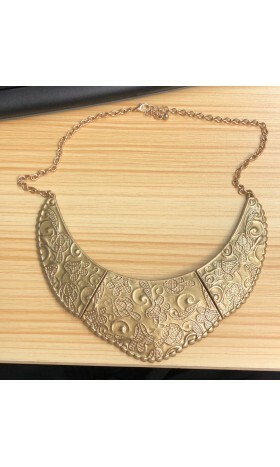 Angel Secret (http://angel-secret.com/) brings a solution for all the girls. 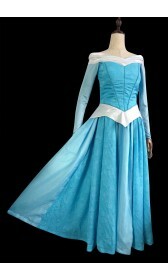 You can pick your favorite character, then pick out a dress you like. 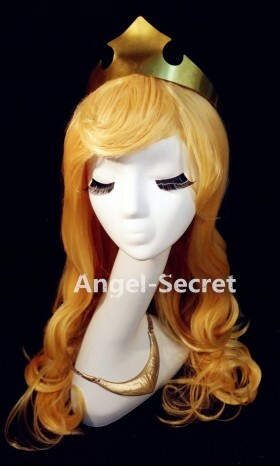 This way, Angel Secret is all set to turn many girls’ fancies into reality. 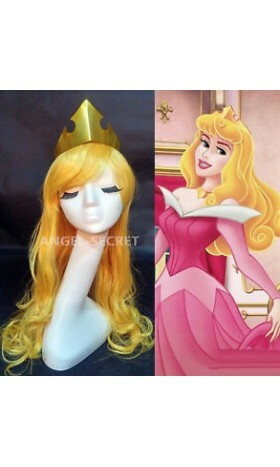 Now, it is possible to enter the world of the sleeping beauty anytime and attain the princess look whenever you want by opting for Aurora Cosplay. 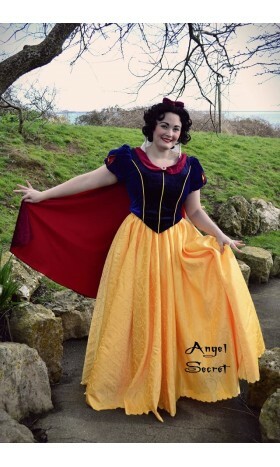 ‘Angel Secret’ brings this exciting opportunity for the girls of all ages so that they may achieve the look of any of their favorite Disney princesses. 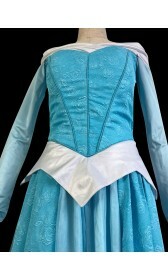 You can find Aurora merchandise including costumes, as well as other needed accessories at Angel Secret’s online store. The aptest part is that you can have free shipping on all the items. 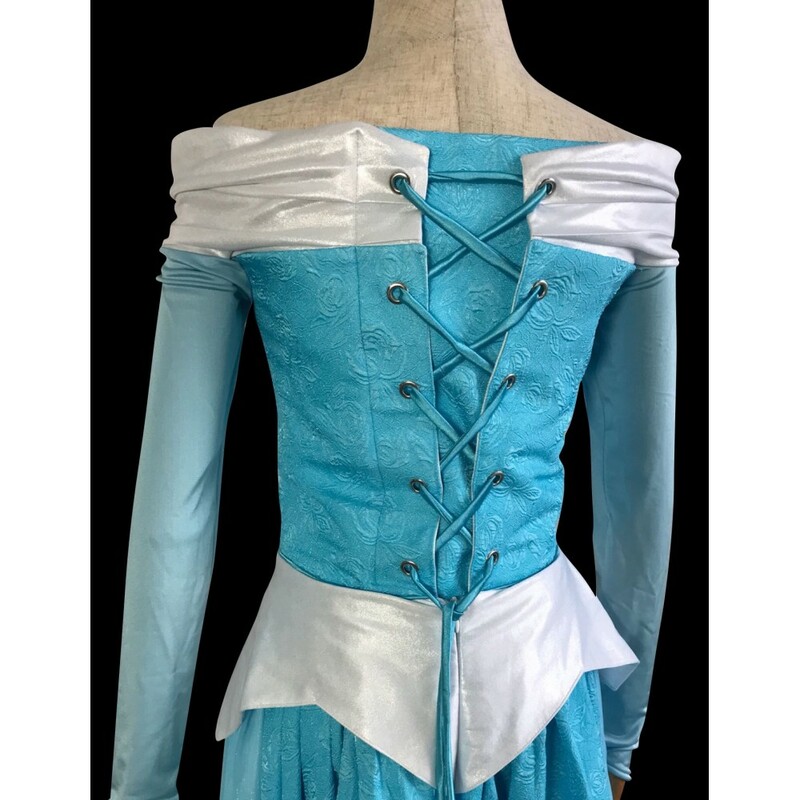 The other appreciable part is that the dress is handmade, and that’s how it gives a totally distinct look to everyone who wears it. 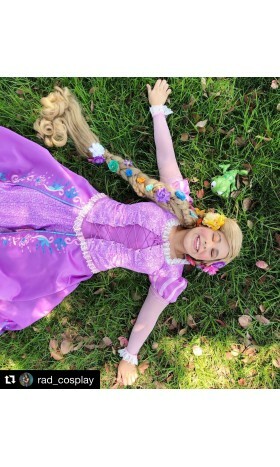 With the increasing charm of cosplaying, Disney cosplay has come into existence, and more and more cosplayers are opting for the looks that Disney princesses have ever attained. 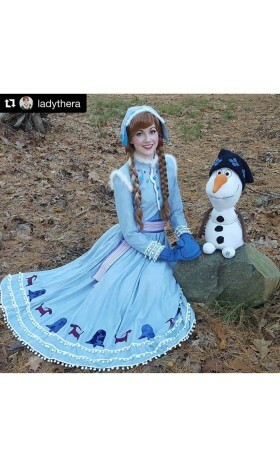 Because the truth is that Disney never goes out of style. 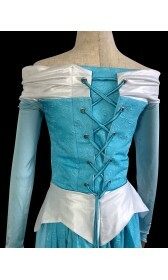 Cosplay is basically an art of being costumed and role-playing. 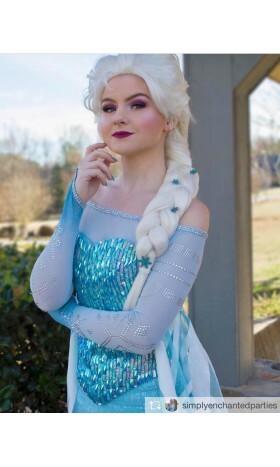 The etymology of this particular term combines words such as the ‘costume’ and ‘play.’ In cosplaying, people follow the art in which they adopt the attire as well as the personality of a particular fictional character who has ever been in existence in any comic book or pop culture. Tag your photos using #p375aurora on Twitter or Upload them here!